This morning I woke up and went to school just like so many previous Mondays. At times I had to take a step back and remind myself, “It wasn’t a dream. Just a week ago you were in Italy.” It is amazing how fast the time went, but how incredible the time was. Throughout the entire trip, the students did an incredible job. This wasn’t a trip where we got off a bus and people came running to us. In fact, it was just the opposite; we stepped into the piazza to preach and people ran away. Despite this, our students were persistent, confident, and stayed true to their task, preach about the good news and saving grace of Jesus Christ. Most mornings we traveled in small groups and dropped off literature into any and every mailbox possible. Over the course of the week we were able to distribute 15,000 pieces of literature! Most of those were advertising an English class at the church. The church plant we partnered with is hoping to draw the outside in by offering English lessons and through that class, share the hope of Jesus. The afternoons consisted of doing ministry in the park, or a local piazza. The task was simple: do some sort of performance (puppets, human drama, music) and draw a crowd. Once a crowd was gathered, we would preach the Gospel. Our students did a tremendous job performing and preaching to anyone who was willing to listen. 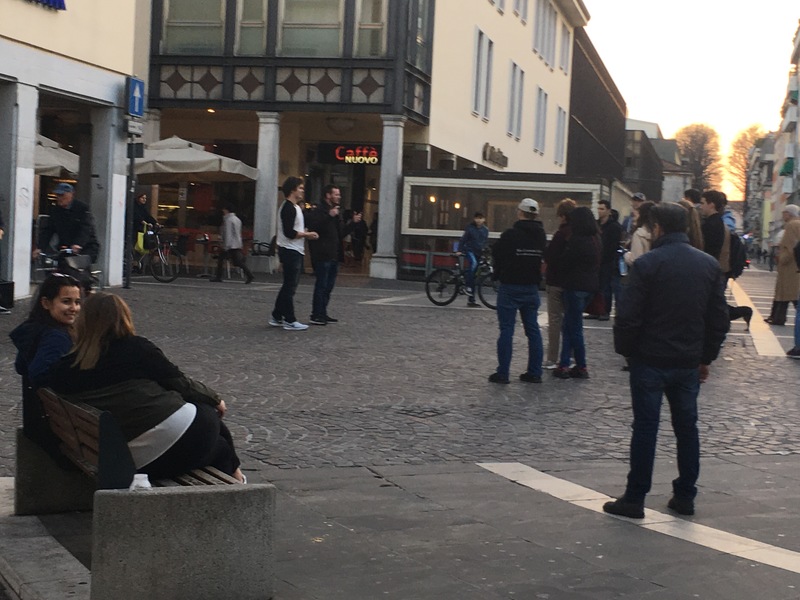 One of the highlights was on Wednesday: our students were performing a drama and a man walked up to us and through an interpreter explained that 18 years ago he saw the same exact drama being performed and as a result of that drama, he entered into a relationship with Jesus. What an amazing reminder for our students that the work they were doing can and does have an eternal impact on the lives of those in the audience! Above all, the trip was an amazing opportunity to connect with students. 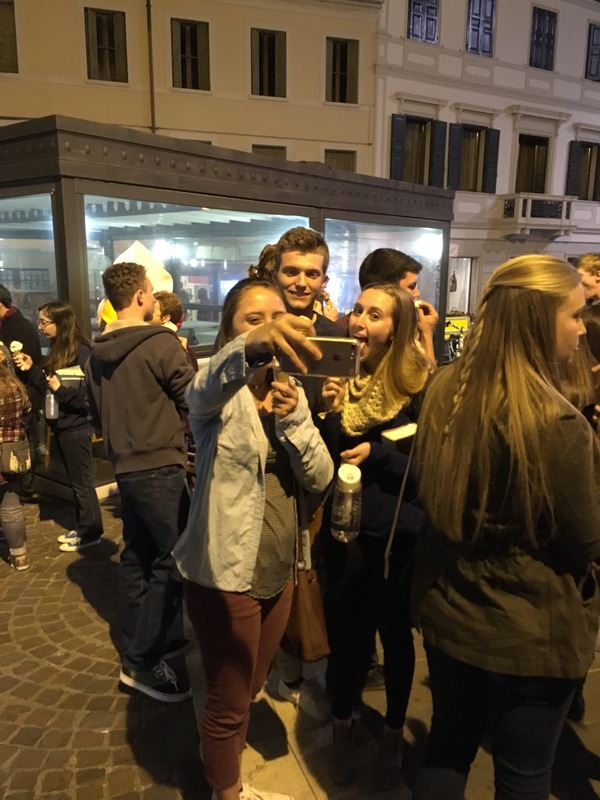 Staying up late sitting around a bonfire and sharing, talking while walking around town distributing literature, praying with nervous students before they were about to preach – all these instances and more were incredible ways to connect with the students. 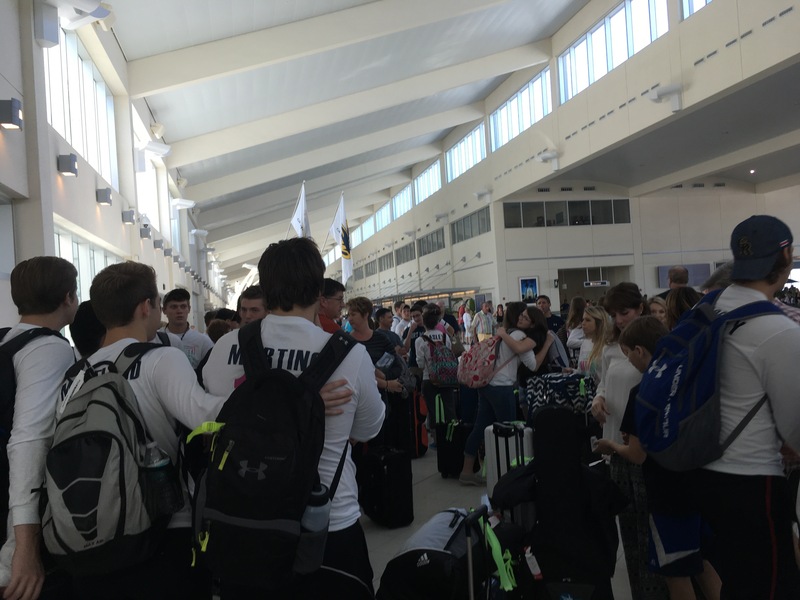 Thank you for all of your prayer and support throughout the months leading up to the trip. I sent out countless emails to family and friends seeking advice and prayer as plans for the trip were made. I appreciate the insight from everyone, and the prayers were felt throughout the trip. Everything continues to go really well here. The students are very active in ministry and are stepping out of their comfort zone. A number stepped up and preached and have testimonies in the streets today. It was awesome to witness. Last night we were able to go into town and get some gelato after church! Today is our first full day – looking forward to some park ministry and literature distribution. We are at the airport and ready to fly out!